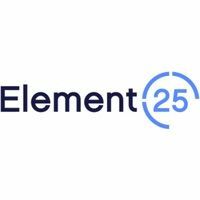 Element 25 (ASX: E25) is advancing work at Butcherbird in Western Australia to develop a project to meet the expanding needs of the world’s high-purity manganese market. Executive director Justin Brown talks to RESOURCEStocks about latest developments. 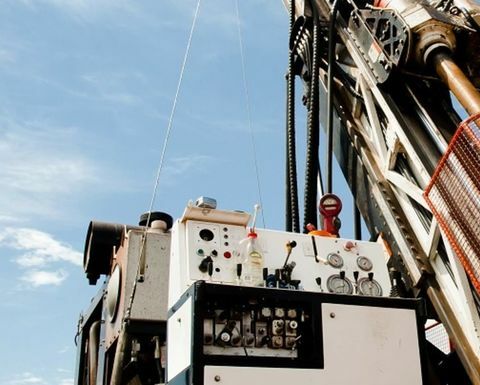 RESOURCEStocks: Element 25 expects to complete about 7,000m of infill drilling (200 holes) on the Yanneri Ridge deposit at Butcherbird in Western Australia by the end of November, which will feed into a revised resource estimate (January 2019), and also the planning for a starter pit in an area with a maiden reserve being incorporated in the project PFS. What can you say at this stage about what is known of the targeted starter-pit area, in terms of the average grades, mineralisation widths and depths, and general early mining conditions? Why has this area been targeted for a start-up pit? Justin Brown: The area targeted for infill drilling is part of the Yanneri Ridge manganese deposit, one of seven deposits making up the global resource of over 180Mt of manganese ore at Butcherbird. The high grades in this area are ideal for initial start-up feed for the plant. The ore is very consistent in terms of grade and quality, can be mined at a very low strip ratio of around 0.2:1, and sits above the water table, meaning dewatering is not required. The Goldfields Gas Pipeline runs across the western end of this area, which makes it a good location for the power and processing plant infrastructure, adjacent to the mining areas that will supply the plant during the first 20 years of production. RS: Anything specifically you are aiming to shore up through this work? 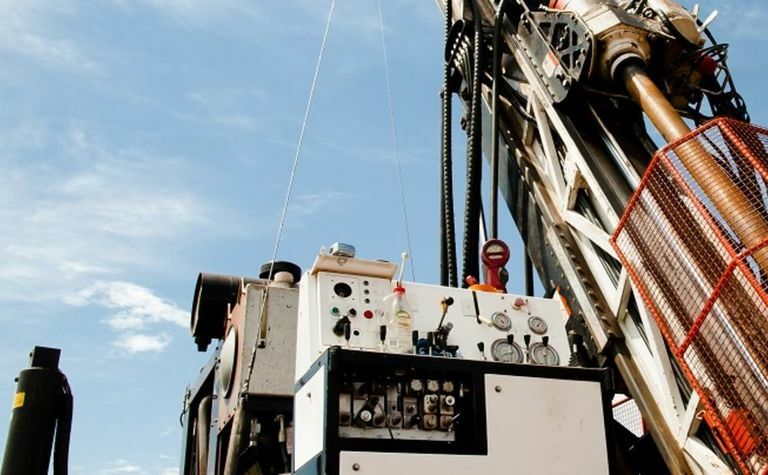 JB: The programme will provide sufficient drilling density to upgrade the resource from indicated and inferred to measured and indicated classifications which will underpin the publication of a maiden reserve. The data will also, in tandem with some very close spaced drilling (down to 12.5m spacings in selected areas), provide additional confirmation regarding the quality of the ore at a mining scale. This detailed geometallurgical data will guide the design of the definitive metallurgical core drilling programme scheduled for early 2019. RS: Butcherbird is a plus-180Mt high-purity manganese deposit. What does that mean in the context of the market you are aiming to address through this project - in terms of comparable-size/quality deposits in the development pipeline and Element 25's status as a new entrant? JB: The Butcherbird High Purity Manganese Project hosts Australia's largest onshore manganese deposit. At over 180Mt of global resource it stands alone in terms of scale for high purity manganese operations globally. High purity manganese products are currently produced primarily in China, where domestic ores are largely depleted and environmental pressures are constraining production. Consequently, China typically sources ore on the open markets at significant cost. Butcherbird, conversely, will supply high quality, low cost, highly leachable manganese to the planned processing plant for many decades. We have no direct competitors in this regard. RS: Element 25 is aiming to develop 100%-owned Butcherbird as a new source of high-purity manganese sulphate for lithium ion battery cathodes, as well as for use in electrolytic manganese metal in certain specialty steels. What are the most significant supply/demand developments you've seen in these markets in recent months, and/or in terms of technology trends, that provide particular encouragement for an ambitious junior working in this niche space? JB: The high purity manganese space is made up of three main products. High purity manganese sulphate (HPMS) for NMC Li-Ion batteries, electrolytic manganese metal (EMM) for certain specialty steels, and electrolytic manganese dioxide (EMD) for some of the older Li-Ion and traditional battery types. All three are forecast to grow strongly over coming years, both from traditional markets, but also, in the case of manganese sulphate, from the predicted explosion of electric vehicles (EVs). Interestingly, in parallel with this growing demand, China, has depleted its domestic ore sources, and has to increasingly source ore from Africa to feed their plants. Coupled with increasing labour and energy costs, as well as increasing environmental pressures, China's cost competitiveness is diminishing. Element 25, with a more efficient, cleaner process, has an opportunity to enter the market in the bottom quartile on costs, and then grow to meet the increasing demand in coming years. RS: Element 25 is aiming to complete in the first half of next year - on the back of this year's positive scoping study results - the pre-feasibility study for Butcherbird. What are some of the key optimisation focal points for the PFS/why? 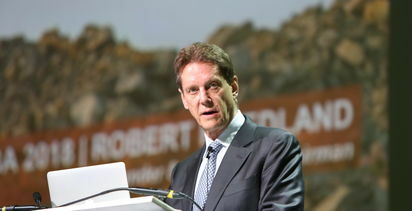 JB: The key areas we are focussing on are metallurgy, power, and marketing. Optimising the metallurgy will ensure we produce a consistent, high purity product. EMM utilises an electrolytic process, which requires electricity to plate the manganese onto the cathode. We have access to energy via the Goldfields Gas Pipeline which runs through the project, and we are also working with specialists on the integration of a high percentage of renewable energy into the mix. This will include both wind and solar, ensuring that we not only produce a low cost product, but one that is cleaner and greener. We believe this will make our products more competitive in a carbon aware world. RS: Butcherbird sits under a major highway and gas pipeline, and obviously sits in a top-tier global jurisdiction from a political risk, skilled-labour and mining administration perspective. What are some of the other location advantages you are seeing for this project/where is the optimisation focus going to be over the next six months or so. JB: In addition to these attributes, we of course have a very large, high quality resource which sits above the water table, has a very low strip ratio of 0.2:1 and is largely free dig, with no need for drill and blast as part of the mining process. The excellent solar and wind resources allow for cheap, clean energy and we have multiple port options available to us. We are also near a main transport hub in Newman to service our fly-in fly out requirements. Mining is simple, energy is plentiful, and we have a technology breakthrough on our flowsheet that will make this a low-cost long-life operation. RS: The company is sitting on a low enterprise value given its current share price and cash position. With the value you're outlining in the project, there is an apparent lack of understanding in the market of the value case as things stand. What are you putting that down to/how plan to address? JB: The market is somewhat un-educated in terms of high purity manganese. There is no one of note doing it outside China apart from Element 25. As we present the compelling opportunity to more and more investors, we are confident that the compelling investment case will begin to be acknowledged in the broader market. As we then hit successive milestones, the market response should be positive and we should begin to see fair value reflected in our share price. The biggest opportunity is for those that recognise this disconnect early. RS: In terms of the "breakthrough" metallurgical work achieved with CSIRO, to what extent is the proposed new "chemistry set" at Butcherbird appreciated/under-appreciated in investment markets, and perhaps among potential project financiers? JB: We need to be careful to protect our IP around the technology, so we are quite selective about who we show the detail of the process to. Once we have process proven the flowsheet, the perceived risk around a new technology should dissipate, and the economics of the PFS will make it clear to the investment community what a fantastic opportunity this really is. RS: What are the next steps with regards up-scaling the process/process testing, and likely costs? JB: We are currently undertaking a bulk (about 500kg) leach test which is nearing completion and will generate the first substantial samples of manganese HPMS and EMM from the Butcherbird project. These samples will be made available to prospective offtake parties to advance those discussions. We will then undertake another definitive round of metallurgical testing on diamond core which will be acquired early in 2019. The final stage of testing will be a piloting phase, the detail of which will be finalised in the coming months. We have identified piloting equipment which is fit for purpose with minor modifications, which will save significant time and cost. RS: What is the current status of efforts to monetise other assets in the company's portfolio? 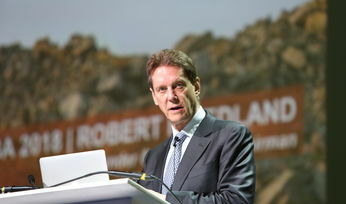 JB: We have recently completed the sale of the Holleton project which injected $1 million in cash into our reserves. We are in discussions on other projects and will update the market as these discussions progress. In terms of share assets, we will look to liquidate these as and when market conditions allow, but with a cash balance in excess of $3 million, we are under no particular pressure to do so and can pick our timing. RS: Any significant developments/news on the recruiting front in recent times, in terms of bringing on board people with requisite specialised expertise in the HPM market segment? JB: We are talking to a number of professionals with various skillsets and will add to the owner's team as quality people are identified both in terms of operational staff and at the board level. This process should see significant appointments through 2019 as we progress the feasibility work.